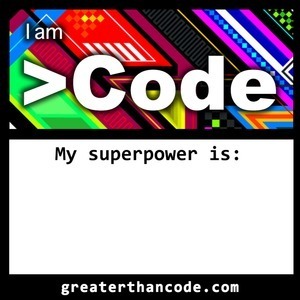 129 episodes of Greater Than Code since the first episode, which aired on September 28th, 2016. Suzan Bond, Coraline, and John discuss blending technology with coaching and humans, managing and working on distributed teams, autonomy, listening to yourself and your intuition, and developing solid leadership skills. Sam Aaron chats with the panel about creating Sonic Pi, the importance of patience and delayed gratification, logging, and fixed tempo, clocks, and time. Helen Needham, an autistic person and an advocate of promoting the value of neurodivergent thinking, talks about decoding people, the intersection of empathy and neurodiversity, being deliberate as a survival skill, and paying attention to EQ: emotional intelligence. This show is a group discussion about the insights inside Zen and the Art of Motorcycle Maintenance by Robert M. Persig. The panelists consider how the book can help us to understand the culture war that is going on in the world right now and what we can do as individuals, communities, companies, and as an industry of software engineers, to build bridges that can help bring humans back together again at all scales. Michael “GeePaw” Hill talks about autopoiesis (say what?? ), the cost of certainty, doubt vs narrowing, thin and thick culture, and occupational game playing. Thai Wood is a developer turned EMT turned developer again. He talks about resilience engineering and closed-loop communication, his experience as an EMT and the lessons he’s brought from there to his work as a developer, incident response, the normalization of deviation, and asking questions to get helpful answers. Andy Hunt talks about iterative development and continuous learning and how we should become comfortable with uncertainty. He also talks about his personal mantra of feedback, context, and learning, as well as adaptability and making groups more effective. Andy also talks about his personal software development journey and his dalliances in writing science fiction. In this episode, Bianca Escalante joins the show to talk about code switching, normalizing conversations, speaking about race openly, and the concept of distance traveled. Reconciling failure, repressing feelings, and the importance of human connection are also among topics discussed, as well as a conversation around who is ultimately responsible for diversity and inclusion work. Panelist, Jessica Kerr, talks about her superpower being a property of a situation. She also ponders the interpretation of luck, physics, conference speaking, TDD, and continuous learning. What does it take to create safe conversations in our organizations, and in our global world? What does “safe” even mean? In this episode, the panelists get into a philosophical discussion about the dynamics of human relationships, differences in paradigm, and how to improve our ability to see one another. In this episode, Matt Stratton discusses incident response communication, leading by example, the way we should be handling postmortems, and telling the hero’s story vs the story of the people. In this episode, Jean-Francois Cloutier talks about theory of mind: his Elixir-powered robots, predictive processing, object-oriented programming, intuition and emergent properties, and the ineffability of Smalltalk. In this episode, Amr talks about the fact that it’s not just code: people need to own their privilege and use it for good by calling out others, being good allies, and avoiding biases. In this episode, Marcel Byrd talks about the intersection of public health and art, authenticity and vulnerability, reading a room and determining safety, and the beauty of dance. In this episode, Thomas Perry talks about thermodynamics of emotion. Observing animal and human behavior is also discussed, as well as organizational restructuring, Flow and how it moves through systems, and alignment in appetite and emotion.